Divorce Blog MN – The Street Fighter's Guide To Divorce in Minnesota! I believe it is my duty to be a strong advocate for my clients, and to protect their interests. When necessary, I am an aggressive and forceful litigator. I do whatever is needed, with integrity, to achieve my client’s goals. I chose family law because it gives me the opportunity to make a positive difference in my clients’ future lives. That makes it a unique area of law. Family law is very important work that affects the lives of children and parents in many different ways. I believe that with skillful guidance, a person can survive divorce with a solid financial future and a great relationship with his or her children. I take my work seriously. Daniel Fiskum and Minnetonka Family Law are conveniently located in the Carlson Towers in Minnetonka, Minnesota. Call (952) 270-7700 now to schedule a free divorce case analysis. Minnetonka Family Law, P.A., is conveniently located in the Carlson Towers at the intersection of I 494 and I 394 in Minnetonka, Minnesota. Attorney Dan Fiskum has practiced divorce and family law in Minnesota since 1992. He is a graduate of the University of Minnesota School of Law and has been named a “Super Lawyer” by the Minnesota Journal of Law and Politics. 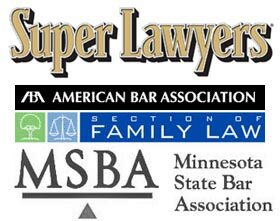 He is a member of the Family Law sections of the American Bar Association and the Minnesota State Bar Association. Request a FREE Case Analysis Today!